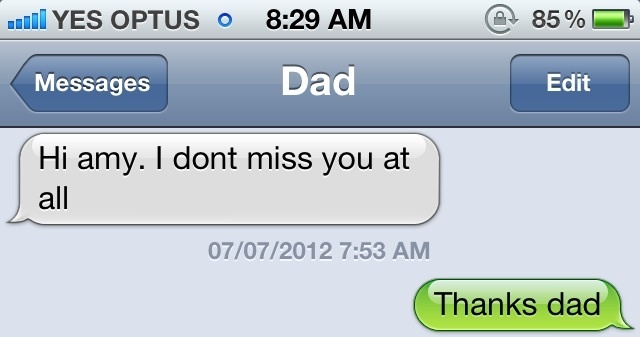 THERE’S NOTHING like a text from your dad to brighten up your day. You never quite know what to expect – a picture of the dog, perhaps? An update on a news story he’s interested in? It could be anything. 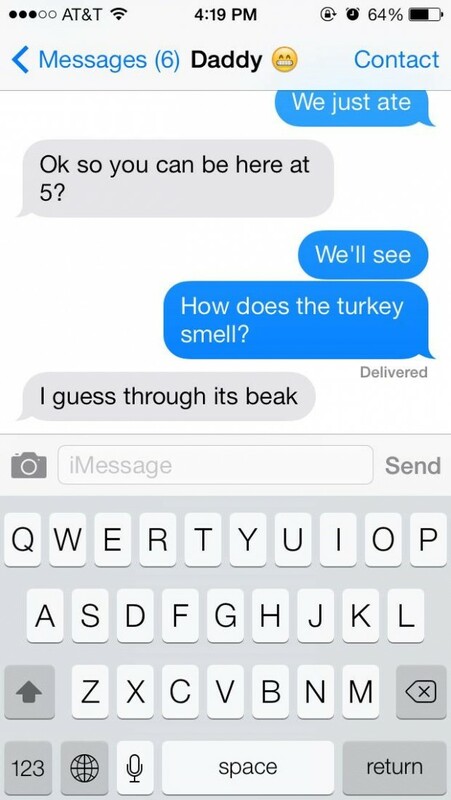 Here’s definitive proof that dads are the best at texting. In fact, they embrace it. 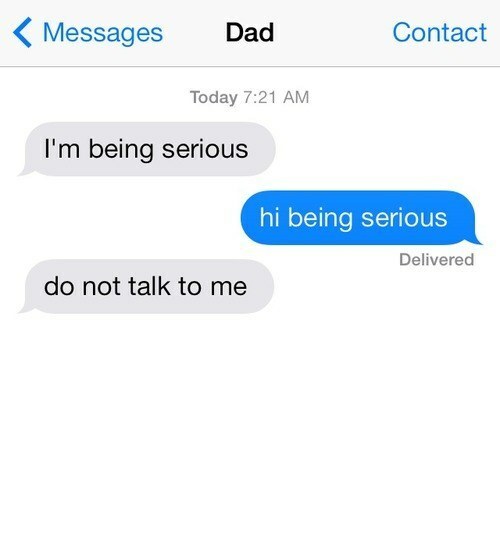 Email “11 times dads proved they're the best at texting”. 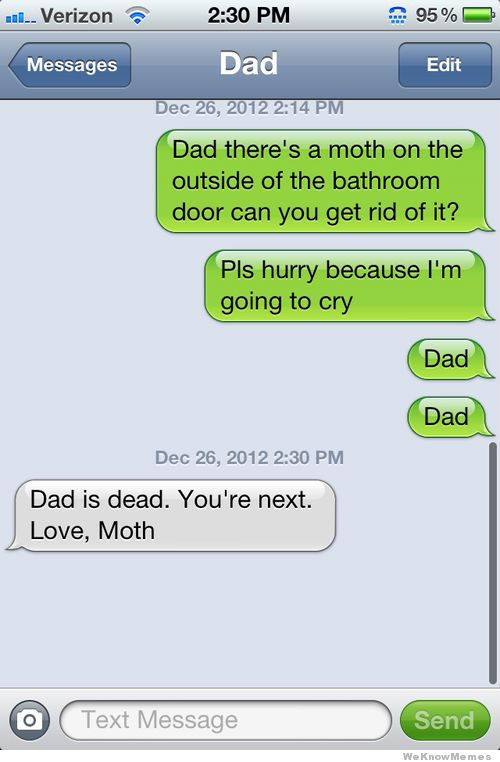 Feedback on “11 times dads proved they're the best at texting”.